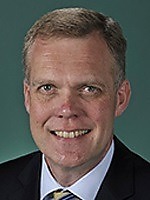 Elected to the House of Representatives for Casey, Victoria, 2001 and 2004. Parliamentary Secretary to the Prime Minister from 30.01.07. House of Representatives Standing: Ageing from 20.3.02 to 31.8.04; Science and Innovation from 20.3.02 to 31.8.04. Joint Standing: Electoral Matters from 1.12.04 (Chair from 6.12.04) to 7.2.06; Public Accounts and Audit from 7.2.06 to 6.2.07. President, Melbourne University Liberal Club 1988. President, Victorian Liberal Students Association 1989. President, Liberal Party Box Hill North Branch 1990-95. Delegate, Liberal Party State Council 1990-2001. Research Assistant, Institute of Public Affairs 1989-90. Media Adviser to the Hon. P Costello, MP 1990-98. Senior Political Adviser to the Treasurer, the Hon P Costello, MP 1998-2001.